You could spend days trying all the tacos at Buford Highway’s Plaza Fiesta. Here’s a cheat sheet. Use this as your guide. Or you could just sample every taco. We’re not stopping you. When it opened in 2000, Buford Highway’s Plaza Fiesta was among the first shopping malls in the U.S. marketed specifically to Latinos. Today, the 350,000-square-foot compound attracts more than four million visitors each year. In addition to its nearly 300 shops—offering everything from quinceañera dresses to glittering belt buckles to tarot readings—Plaza Fiesta houses a television studio, a fitness center, healthcare providers, and what claims to be the largest indoor playground in Georgia. But the heart of Plaza Fiesta is its 14 restaurants. “When you move to another country, a large portion of your heritage is lost due to not finding the correct ingredients to do our typical dishes,” property manager Julio Penaranda says. But it’s easy to find the food reminiscent of home at the plaza, especially if that food is tacos. You could spend several days sampling all of the tacos here—or you could study this taco cheat sheet to narrow your choices. ¡Buen provecho! Famous for its tortas, Puras Tortas is one of the oldest restaurants at Plaza Fiesta and also sells some of the mall’s best tacos. 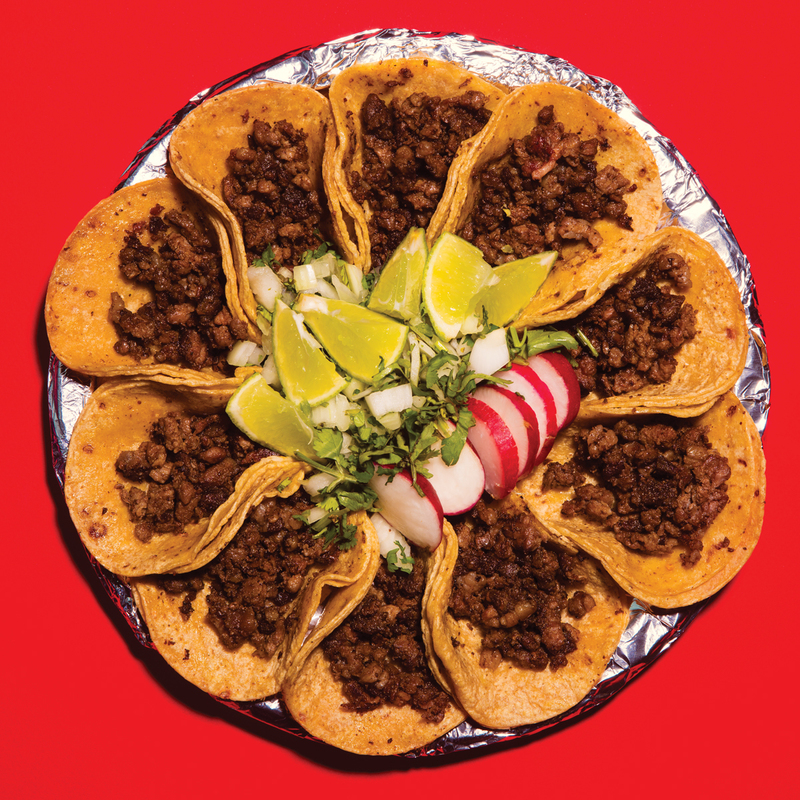 Grab a few friends and order a rosca de tacos, a platter of 10 tacos arranged in a circle. Just make sure a couple of the tacos in your rosca are chicharrón in green sauce. The tortillas at Yami’s are thick, handmade, and tasty. 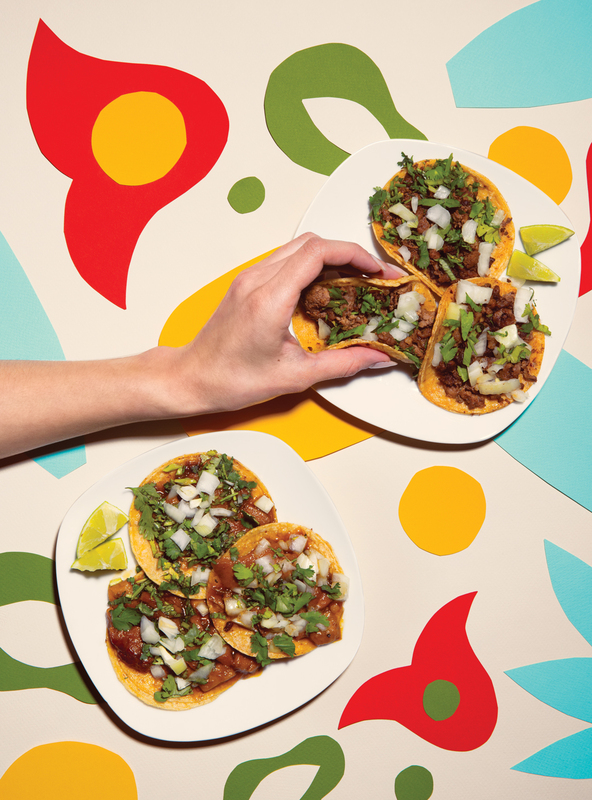 Get the al pastor tacos; the pork has the slightest hint of cinnamon. One of the newest restaurants at Plaza Fiesta, Riko Tepache is also one of the first to offer tacos de canasta, which are famously sold in Mexico City out of baskets, or canastas, for people on the go. The layering of hot tacos in the basket steams them to the point that they turn soft, almost comparable to enchiladas. At Riko Tepache, the tacos come filled with chorizo and potato, beans, or chicharrón. Be sure to wash them down with a cold tepache, the restaurant’s namesake fermented pineapple drink. Here you can try three types of barbacoa (tender, slow-cooked meat): lamb, goat, or beef. All are offered on fresh, handmade tortillas and should be topped with La Generala’s salsa roja. This place is home to some of Plaza Fiesta’s finest barbacoa de res, or slow-cooked beef (which regularly sells out, so stop by early). La Guelaguetza has also recently begun selling tacos de canasta, including a mole option that’s not available at Riko Tepache. The Poblanos (folks from the Mexican state of Puebla) who own this spot offer one of their homeland’s most interesting specialties: tacos arabes, or Arab-style tacos, inspired by Middle Eastern immigrants to Mexico. You might recognize a taco arabe as a gyro hybrid, served on a thick flour tortilla rather than a pita. At one of the few seafood restaurants at Plaza Fiesta, the fish tacos and shrimp tacos are done right, the shrimp slightly charred and the fish cut into chunks and grilled with onions. 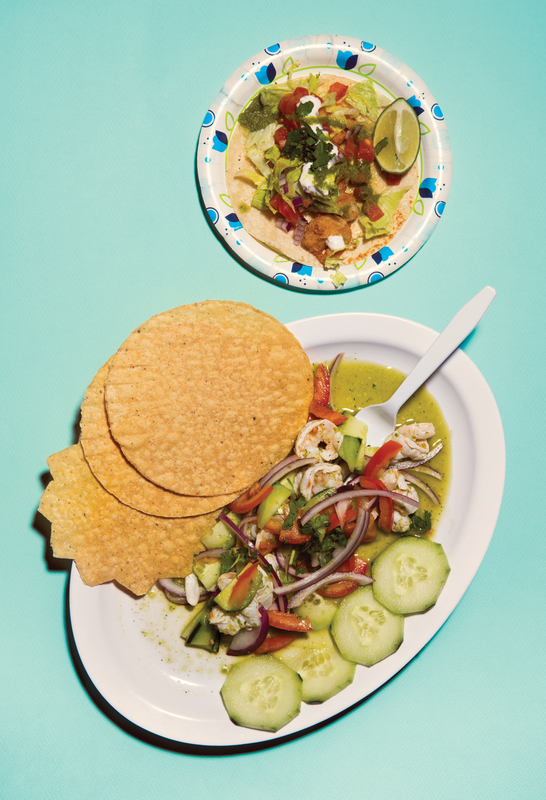 If you’ve never tried aguachile—a spicy take on ceviche—grab an order of that, too. The specialty here is rotisserie chicken, which you should order in addition to the taco campechano (from the state of Campeche), filled with a meaty mix of salty beef cecina, spicy pork longaniza sausage, and chicharrón. This restaurant serves hands-down the best tortillas at Plaza Fiesta—though it specializes in desserts and fruit cocktails. Take note: The tacos grandes are literally big; one is a meal itself. Try the beef milanesa or chicken milanesa taco, and stick around for something sweet.